My popular artwork on Pinterest has achieved its 50th entry. 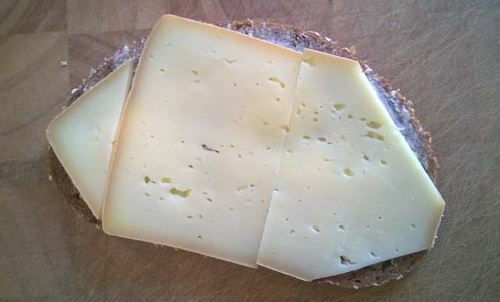 It is a small piece of inlay work made of Northern Germany’s dyke cheese, assembled on a slice of wholemeal bread. Preparing the morning snack for the family, cheese and bread often come out as pieces of inlay work, a rare and forgotten craftsmanship of the past. Without any context to my work, in fact. Become a follower here. Another successful launch of a sentinel satellite from the European Copernicus programme. All night busy, as the launch of S2A happened at almost 4 am CET – but we are all happy the event went smoothly, and media as well as VIPs were well entertained. 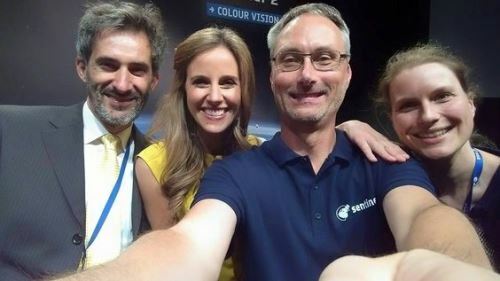 Image with moderator Louise Houghton and ESA PR supporters Daniel Scuka and Nicola Gebers. 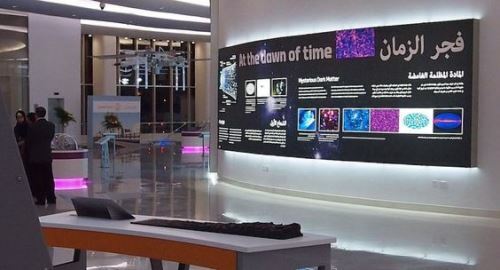 Inaugurated by Sheikh Dr. Sultan Bin Mohammed Al Qasimi, Member of the Supreme Council, Ruler of Sharjah, and President of the University of Sharjah, the new Sharjah Center for Astronomy & Space Sciences has opened its doors for the public. 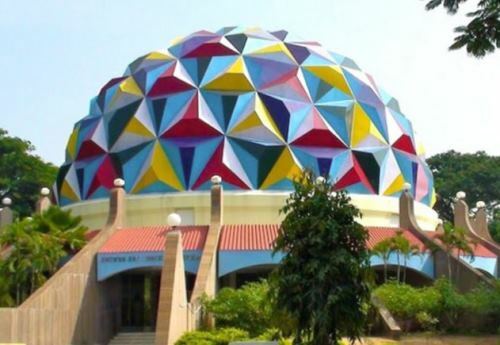 It contains a planetarium and large areas with hands-on exhibits, plus an exhibition abouot astronomy and spaceflight. I have investigated and scripted the large info-walls for the entire building. My Fulldome film “Journey to a Billion Suns” has attracted over 120,000 visitors in 2014. The film has been running in 33 planeteria in ten countries, with more than 2,100 performances in total. It tells the story about measuring the distances in the Universe with space telescopes, in particular the European Gaia telescope. Amongst the participating planetaria, the Spanish Parc Astronomic in Montsec recorded the most visitors, while the Hamburg planetarium in Germany acheived the most visitors per week. Two third of planetaria have earned the ten years’ licensing fee in a single year’s time. After a two years’ production period, and with substantial support by the European Space Agency ESA, “Journey to a Billion Suns” has premiered in January 2014. Later, it has been presented at Fulldome and cinema film festivals in Europe, America and Asia, and won prizes and praise for its storytelling. As of today, 43 planetaria have scheduled it in their programmes, including Russia, the US, Korea and India. Fulldome films cannot be played other than in planetaria. Fulldome is a special cinema format, allowing to screen a warped video image onto the entire inner surface of a planetarium dome and making it a unique 360° experience. The requirement in resolution is enormeous, as is the effect: The film virtually immerses the audience into the plot. New spacial sound audio amplifies the visitor involvement. 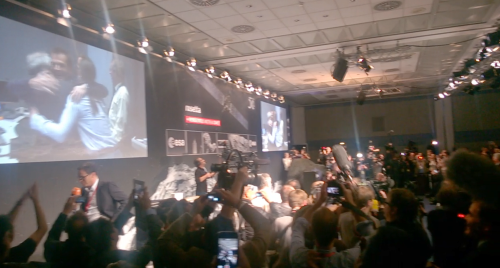 This was the largest ever media frenzy I have ever worked for: More than 200 media have been on site, reporting from the landing of a small probe called Philae on the comet 67P. The media briefing and live stage event was attended by another few hundred of VIPs, while the premises at the European Space Operations Centre was jammed full of OB vans and camera teams. I have drafted, prepared and directed the live programme and was responsible for the content – supported by large teams of TV crews, producers and PR personnel. My immersive Fulldome film for planetaria about the distances in the Universe has won the first prize in public voting. 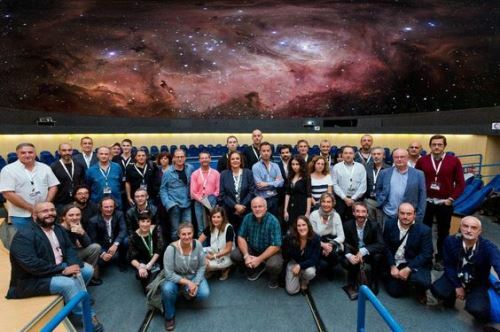 Three dozen 360° films have been screened by the public in Pamplona, Spain, during the annual conference of Spanish planetaria, called Tecnoplanetario. 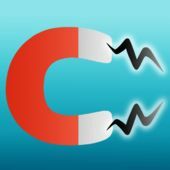 After months of preparation, my mobile game for iPhone and iPad has been put online: SWARM-EE is a simple, though new kind of games, because it uses, for the first time, the magnetic sensor of the smartphone for gaming. A steel ball has to be navigated across a labyrinth, permanently dragged by the force of magnetism and magnetic fields. The game has been proposed and produced at the occasion of a scientific space mission measuring the Earth’s magnetic shield. The idea, project management and iteration was my job. Designed by Christine Neigenfind and coded by Björn Bergstein. 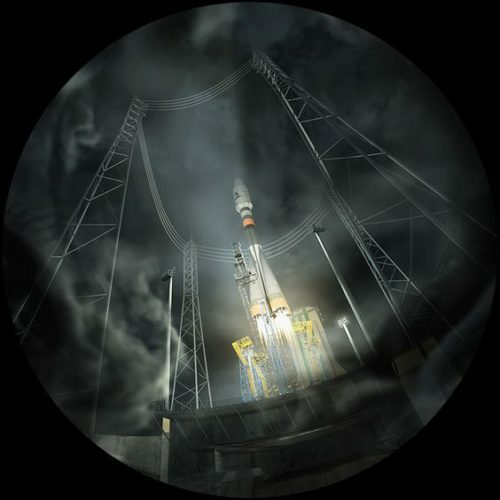 The European Space Agency commissioned me to produce a video for its German establishment in Darmstadt, Germany, where all European scientific satellites are operated from – a corporate film to introduce the site to visitor groups. 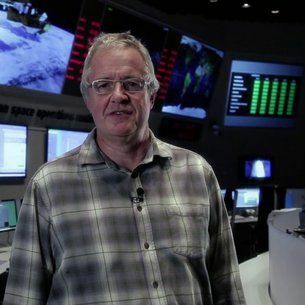 One of the chief spacecraft operators was the on-camera presenter – which was bit more difficult, but much more authentic than working with an actor. He is the sympathetic guy next door, a calm enthusiast, an unobtrusive expert. He explains the context in documentary style, no useless details. He’s guiding visitors along the idea of space operations, as if he were guiding them in person. In the very far North of Sweden, in Salmijärvi, ESA operates a number of ground stations – huge steel dishes downlinking satellite data during short overpasses. 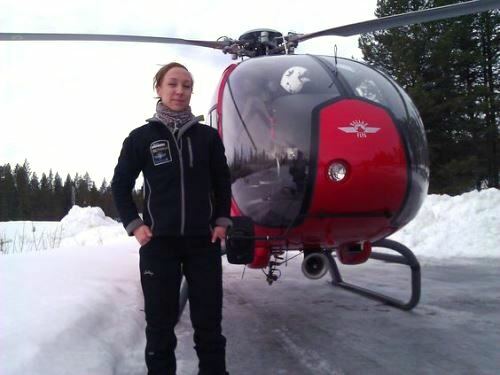 For a corporate video, the largest 35meter dish has been filmed from a helicopter – with Mikaela, our charming pilot from Kiruna on the control stick, and me in the open door – overhead the wonderful sub-arctic landscape of Swedish Lapland, with snow covered forests and huge satellite dishes.